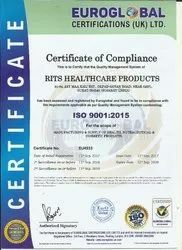 We, Rits Health Care Products, established in the year 2013, is counted amongst the trusted names in manufacturing, trading an exclusive range of Dietary & Organic Supplements. In order to manage our quality standards, we are supported with a sophisticated infrastructural facility that spreads over a large area. We have divided our infrastructural base into various departments such as production, quality testing, research & development, warehousing & packaging, etc. With the help of advanced machines installed at our infrastructure base, we are supplying these precisely processed products to our clients with a competitive market price of production. In order to meet the variegated requirements of clients, our qualified and experienced professionals work round the clock within committed time frame. All the departments are operated by our professionals who possess enormous industry experience. Our team of professionals works in close coordination with the clients in order to understand the specific requirements of the clients. With our depth experience in this industry, we are engaged in providing excellent quality products. In our quality testing unit, we strictly inspect each and every medicine in accordance with all the national and international safety and quality parameters. The offered products are processed by our skilled professionals using high-quality chemical components and advance technology. The chemical compounds that are used to process these products are sourced only from the trustworthy and certified vendors of the industry. Under the guidance of our owner, “Mr. Ritul Mendapara”, we have already achieved a special position of pride in the industry. His extremely sharp business insight and farsightedness make us efficient to reach a reputable position in this industry. Our organization has achieved a stupendous success for their easy payment modes, transparent relations, client-centric approach, leading-market price range and our ethical business practices. Moreover, our clients can avail these products in various packing options as per the requirements of our clients. Based on the skills of our adroit professionals, we are able to offer an innovative range of products. We have hired a team of highly skilled and knowledgeable professionals, who possess immense experience in their respective domains. Our products are delivered in proper packaging options to ensure that these remain safe and hygienic during transit. With the help of our hard working team member, we have been able to maintain the diversified requirements of our esteemed clients in the most efficient and effective manner. 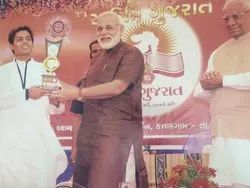 Our team member Mr. Ritul Mendapara is also received award and recognised by Honorable Prime minister of India Shri. Narendra Modiji. As a quality-oriented organization, we are focused to provide our clients excellent quality products. The offered products are processed by making use of optimum quality chemical compounds and advanced technology. These products are well known among the clients for their longer shelf life, purity and effectiveness. 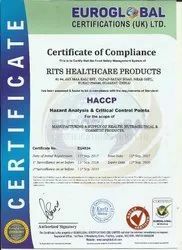 In addition to this, the offered products are tested by a team of quality controllers on several parameters in order to ensure that the offered products are free from any flaws. By focusing on variegated demands of our respected clients spread all over the country, we are offering an exclusive range of products. Keeping in mind the international quality standard, these products are processed using high quality basic chemical compound. Owing to our ethical business policies, highly competitive prices and client-centric approach, we have achieved reputed position in the market. We deliver our products in a temper-proof packaging material in order to ensure safe transit at the clients' end. 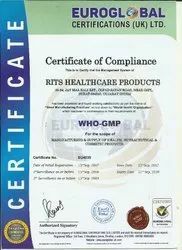 We more focus on our quality and standards, and we strickly follow GMP (Good manufacturing Process) under guidelines by WHO (World health Organisation). Owing to our extensive years of industry experience and profound market understanding, we are providing a wide gamut of products. We also recognised by India's biggest states Uttar pradesh's chief minister Shri. 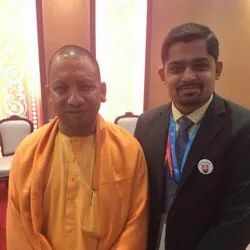 Yogi Aadityanathji.